The 2018 summer ultimate frisbee season is here!!! 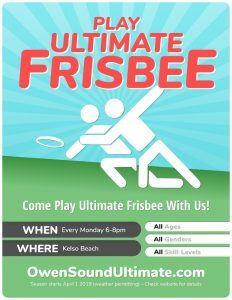 We are playing ultimate frisbee every Monday from 6:30pm to 8:00pm at Victoria Park. We will play until October 15th. Fees & more information can be found in the Outdoor Ultimate FAQ section. 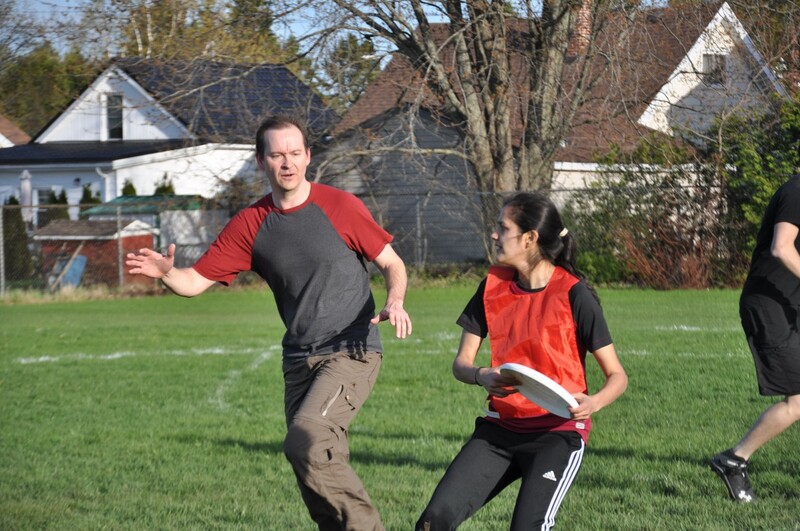 Help us spread the word about ultimate frisbee in Owen Sound. Download the PDF poster and hang it in your school or workplace!